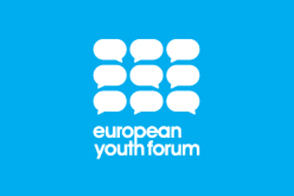 Brussels, 13 March 2015 – The European Youth Forum and leading employers last night launched their Employers’ Guide to Quality Internships, a “how-to guide” for employers wishing to establish quality schemes – with the aim to address and increase the quality of internships across Europe. The Employers’ Guide to Quality Internships has been developed with the contribution of the European Youth Forum partners Abbvie, Adecco Group, EPACA, EUK Consulting, Microsoft and TITAN CEMENT GROUP, who attended the launch event. The Guide, which was launched at a reception hosted by the British Chamber of Commerce in Belgium, outlines key criteria that make an internship a good experience for both the young person and the employer. Through ensuring that an internship provides a learning experience with proper supervision, a positive working environment, and the opportunity for career development, employers can not only contribute in a socially responsible way to the development of young people, but can also improve their own reputation, increase the confidence of their team, and discover opportunities for public-private partnerships. Undertaking an internship has become the norm for young people, but the quality of such internships is often unacceptable, with many not providing an educational experience. According to data from the European Commission, whilst almost half of Europe’s young people have done an internship, only one third of these are paid and 35% of them are not working under a contract. The Youth Forum and its partners work towards making internships a valuable stepping stone into the workplace, rather than having young people being used to replace paid, entry-level jobs. The Employers’ Guide gives case studies and real examples from the employers that collaborated on it, including innovative internship schemes which are already in place as well as “top tips” for creating similar good quality schemes. Martin Schulz, the President of the European Parliament and Marianne Thyssen, European Commissioner for Employment, Social Affairs, Skills and Labour Mobility introduce the Guide.